More reasons to turn off cable news for news. Of course, if you want to view second-rate entertainment or a disguised political campaign from shady car dealer-types, then go ahead and keep wasting your time. Morning Joe on MSNBC this morning offered a retraction to a long piece aired the day before on the anniversary of the Iraq War. 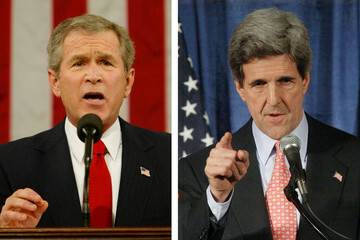 The piece showed how members of Congress in both parties were in favor of going to war, but years later criticized George Bush for the aftermath debacle and distanced themselves from their vote for the war. When I saw the piece yesterday I thought “How stupid.” More gotcha politics. This is MSNBC’s effort to become fair and balanced; look, we nailed some Democrats too. In truth, it was a vapid “jump on the band wagon” piece criticizing the “jump on the bandwagon” actions when we went to war. Then this morning, the Morning Joe retraction was a sound bite with Nancy Pelosi. Apparently the first version of the sound bite was cut short. It showed Pelosi praising President Bush for addressing the problem of Saddam Hussein. But what they failed to show, and then had to show later, was Pelosi saying: going after Saddam Hussein now, in 2002, when weeding out terrorists was more important, and would be a danger to national security. I am no fan of Nancy Pelosi, but in this case, she proved quite prescient. Sure, this could have been a rogue editor trying to make the story look good. But I doubt it. This story points to an overall theme with the mainstream or the corporately-owned media. Cable news is a political campaign. Why? These networks and news decision makers are run by … drum roll … politicians. Fox News hires GOP candidates and operatives. Fox’s parent company News Corp through its tabloids is also facing charges now for paying off elected officials from the UK. MSNBC hires Democratic operatives and candidates. 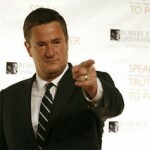 Granted, Joe Scarborough is a former GOP Congressman hosting a show on MSNBC. And the show tries to make itself well-balanced as Scarborough co-host Mika Brzezinski takes on the more Democratic or liberal side. Sure, Scarborough has sided with some liberal issues. For instance, he is outspoken about favoring gun control and background checks after Sandy Hook. And he remains conservative on issues like the budget and deficits. I actually agree with him on many issues. But this campaign by MSNBC seems too calculated – and very annoying. 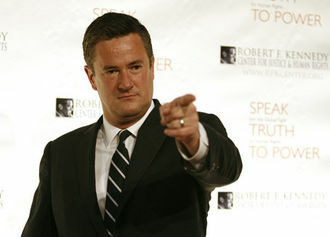 Scarborough’s hiring, his staged disagreements with Mika, and this piece on the Iraqi War anniversary all point to a campaign for MSNBC to get moderate and conservative viewers. But it’s not real news. More precisely, Scarborough seems to have used his political skills to make that Iraqi War piece work as a campaign piece – not a news story. Here’s what was wrong with the piece. It gave us this false premise. If a politician votes in favor of going to war, then that politician cannot criticize the way the war was managed. The piece failed to look at the perceptions – some true and many false — we Americans had back then. We were told Saddam has weapons of mass destruction. It was either a lie or bad intelligence. The Valerie Plame episode is proof along with an apparent cover-up and retaliation for everyone not falling in line. We were told that Saddam was connected to al-Qaeda. However, Osama hated Saddam almost as much as the US and Saudi Arabia. We were given the impression that the Iraqis wanted to be rid of Saddam. This is true. US foreign policy in the 1980s and 1990s tolerated or contained Saddam and the majority of Iraqis believed we were keeping him in power. Saddam was a buffer to Iran. This containment of Saddam also kept oil prices fairly steady. And we were led to believe through the CIA that the Iraqi military would join us to overthrow him. What we didn’t pay attention to: the Sunni versus Shia hatred that would break out. 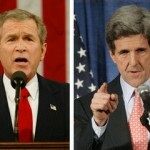 These perceptions led to a fire of nationalism that the Bush Administration fanned. No politician would dare stand up against it. Heck, even Tim Robbins and Susan Sarandon, two war protesters, were blocked from the Baseball Hall of Fame ceremony honoring their iconic baseball film Bull Durham. Like a bunch of lemmings, we all followed. Me too. TV News tries its best to find a hero and a villain in each story. It’s easy. It helps people understand something in simple, emotional terms. This is exactly what the MSNBC piece did. However, like most stories on cable news, they failed to see the nuances that smart people need. Promoting the left-right battles and the fights between Democrats and Republicans also feeds the networks coffers. Money raised by political parties and PACs goes to campaign ads. Notice the scant or non-existent talk about campaign finance reform on these networks. If you watch cable news, then watch with a filter on your mind. You’re being preyed upon the same way you’re played when you walk into a car dealership.